This Thanksgiving Day, there are many things that I’m thankful for, things that are a blessing in my life, and many things that are a traumatic source of pain to my enemies. Often, they are both at the same time. Now, I’m not sure if I’m doing Thanksgiving right by being thankful for the failure and misery of people who are bad, but I’m also thankful that I don’t care about such conundrums. I am thankful that Donald Trump is president, most of all because that means Felonia Milhous von Pantsuit is not president. I could stop here and end this column, but my editors insist on a higher word count. I am thankful for my editors and their patience. I am thankful for a couple of senators who used to drive me up the wall. In the last couple years, Mitch McConnell completed his unlikely transformation from Yerlte the RINO Turtle into the Judicial Avenger who vanquished Merrick Garland and confirmed Kegger Kavanaugh. 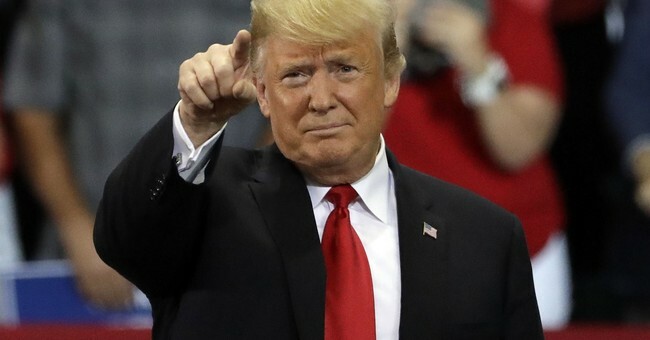 He’s skillfully tormented the Democrats and is in the midst of packing our court with a bunch of actual judges as opposed to a crowd of pinko robed activists. This is everything we dreamed of for decades and it’s happening. First you get the Senate, then you get the White House, then you get the SCOTUS. I am all about Cocaine Mitch. I am thankful for Lindsey Graham. There are five words that I never expected to type in that order. But the way he threw down in the Kavanagh fight was awe-inspiring. I am so thankful that I am even prepared to forget his two greatest transgressions, his embrace of John McCain‘s habit of infuriating fellow conservatives, and his membership in the Air Force JAG Corps. I am thankful the Paul Ryan is gone, having hopped the train to Failuretown, Population: Paul Ryan. Not that we would notice that he vanished. The only time we ever heard from the ex-Speaker was when he was clutching pearls over something Trump said. I wish he was useless, because that would’ve been a huge improvement. The loss of the House was largely his fault. I eagerly await his upcoming book, 50 Shades of Meh. I am thankful Mitt Romney is the new senator from Utah. Wait, I’m not thankful for that. He’s a very, very annoying man. He’s got binders full of boring. I am thankful I haven’t heard much from Ben Sasse lately. He’s probably avoiding helping us out in our current death struggle with the forces of leftist fascism by writing his next book, 50 Shades of None of You Are Meeting My Expectations. His words are like needles pounded into my ears, even when I agree with them. I am thankful that the Democrats have apparently learned nothing from 2006, where they pulled the same scam they pulled this year and elected a bunch of so-called moderates from moderate districts. Sure, they also elected a bunch of goofs who look like the commie weirdos who hung out at the Che Cafe back in the day at UC San Diego, but the ones who took seats from the GOP were all GOP Lite. Yet Nancy Pelosi will still install a pack of lunatics as the chair-beings of the various House committees, and instead of making the smart play and pretending to cooperate with the president, they’re going to go nuts. They’re going to do exactly what they did 12 years ago and push their moderates to the left so that we can swoop in in 2020 and show her what a real wave looks like. I’m thankful for the positive reception for the word Fredocon, which I coined to refer to those cruise-shilling losers who pretended to be conservative to grift the donors and then who then went all quisling with the left when we rejected their useless carcasses. I make it a point to use that term in almost every column just because I know it ticks them off so much and because I love to make them throw fussy fits. Plus, endless repetition is hilarious. I am thankful for Donald Trump. Yeah, I know I already said that, but I’m really, really glad he won. Can you imagine the living hell we be enduring if that hideous harpy was president? If she had won, Bill Kristol would be happy and his cabins would all be booked, but I always expected conservatism to do more than just be a get-rich scheme for political parasites. Speaking of Conservative, Inc., I am thankful I stopped watching The Walking Dead a few years ago. For a program where everyone carries around an assault rifle, that show sure sucked. I am thankful for all the friends I’ve made via Twitter. It’s a demonstrable fact that people are in real life exactly as they are on Twitter. That goes for me too, which is why you probably shouldn’t try to hang around with me if you’re lame. I am thankful for all the people who bought my new book, Militant Normals: How Regular Americans Are Rebelling Against the Elite to Reclaim Our Democracy. I’ll be even more thankful if you buy my book Militant Normals for the people you love this Christmas/Hanukkah/Kwanzaa. Hell, you can also buy it for people you don’t love - liberals, hipster doofuses, millennials, people who don’t assume “Cardi B” is a heart-healthy supplement - because my book will make them really unhappy. I am thankful for Coca-Cola, which is better than Pepsi. And I am thankful for beer, because Brett Kavanaugh likes it. I am thankful for Brett Kavanaugh enduring the nightmare he did. It’s a great feeling knowing we have a guy on the Supreme Court who will actually protect the rights that are in the text rather than manufacturing fake ones that aren’t, and who can chug Natty Lights brewski for brewski with Ruth “Beer Bong” Bader Ginsberg. Finally, I am thankful we have President Donald Trump. I’m really, really, really thankful. Not only because he does all the conservative things we dreamed of for decades, but because of how angry he makes all the right people while doing so.